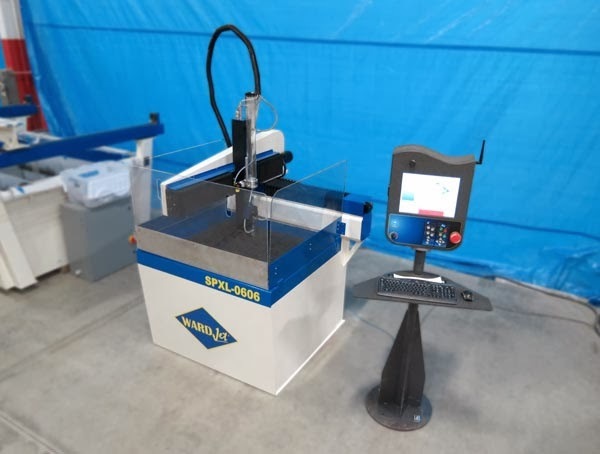 Last week, WARDJet completed work on the SPXL-0606 custom waterjet cutting system for a well-known international corporation. With a cutting envelope of 2’ by 2’, this machine is the smallest waterjet ever fabricated by WARDJet. Although small in size, the dependability of the SPXL-0606 is reflected in its sturdy design. Thick-walled steel tubing serves as the crossbeam of the waterjet which houses a ballscrew drive system. The tank, supports and grates of the SPXL-0606 are constructed the same as they are in much larger waterjet systems. In fact, the entire machine was welded, heat stress relieved, powder coated and milled as one piece which adds to its overall reliability. 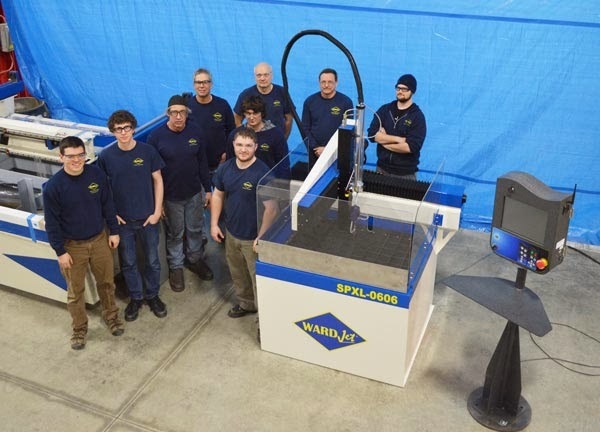 The SPXL-0606 waterjet is also unique because it features a cantilever-style arm on the X-Axis, unlike any other WARDJet waterjet. The customer plans to use the SPXL-0606 in an R&D environment, but it would also be an ideal waterjet solution for hobbyists, small job shops, and universities. Visit the WARDJet Custom web page for some examples of other systems designed for unique applications or watch the SPXL-0606 video below for more information about this system.